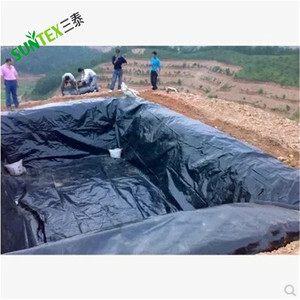 Ningbo Honghuan Geotextile Co., Ltd.
( 2 ) Landfill: HDPE geomembrane is the most widely used in landfill anti-seepage engineering material, The use of main parts of the bottom of the landfill liner, landfill sealing cover, leachate regulating pool liner, etc. ( 3 ) Water Treatment System : HDPE geomembrane is applied to the adjustment of the power plant and sewage treatment plants pool;and a series of water treatment systems. ( 4 ) Mining: HDPE geomembrane suitable mining: washing pool, pool heap leaching, heap yard, dissolving tank, tank, storage area, the bottom line of the tailings seepage control, etc 7.Good quality and good services: ( 1)Service: A. 4.Just contact us, you will get professional guidance and suggestion, very reasonable price in good quality and strict quality control before shipment. 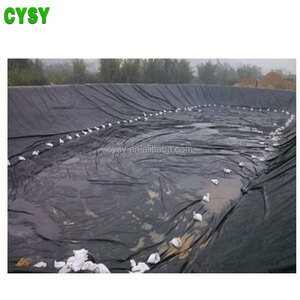 5mm hdpe Geomembrane liner or Fish Pond Liner Usage 1.Landfill,sewage or control the waste residue seashores seepage. 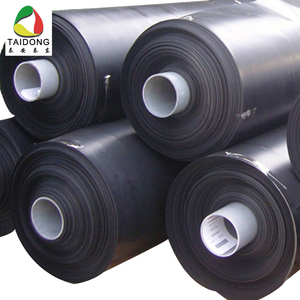 Q2: Can you provide a sample for us9 A:Yes,We can send free samples of hdpe geomembrane liner. 5. Special discount and protection of sales are provided to our distributor. 7 Sample: We can send out sample for test in one week if the order quantity is big enough. 5) Q:what's the shipment terms and delivery time of your company9 A:Well, they depends on the quantity of your order. Our Company Our company is one specialized supplier on waterproof materials. The company is located in Taitou Town, Shouguang City, one very famous waterproof materials town in China. If you are interested in our products,please don't hesitate to send an inquiry to me. Hua Dun Xue Hua Plastics (Gu'an) Co., Ltd.
&bull; We have our own factory and can provide OEM according to your requirements. If you have any other test or certificate, we can do it for you. If you are interested in our products and company, Please feel free to contact me -Jane. Alibaba.com offers 11,334 fish pond liner products. About 92% of these are geomembranes, 2% are waterproof membrane, and 1% are other fabric. 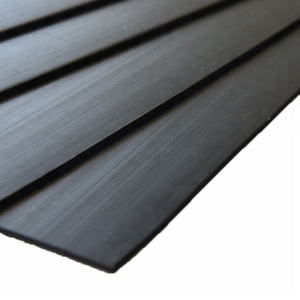 A wide variety of fish pond liner options are available to you, such as hdpe, pvc, and eva. You can also choose from free samples, paid samples. There are 11,270 fish pond liner suppliers, mainly located in Asia. 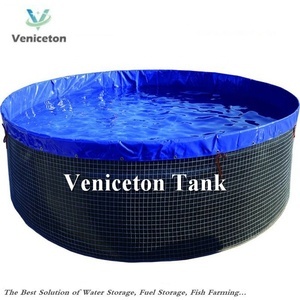 The top supplying countries are China (Mainland), India, and Vietnam, which supply 99%, 1%, and 1% of fish pond liner respectively. Fish pond liner products are most popular in Domestic Market, Southeast Asia, and Oceania. You can ensure product safety by selecting from certified suppliers, including 10,879 with ISO9001, 7,190 with OHSAS18001, and 5,723 with ISO14001 certification.